Life has been pretty busy around here, still getting my head around the 4 child thing and spending every spare quiet moment watching our new little addition in wonderment. It really is incredible how much time can be whiled away just watching a baby. Too beautiful! Anyway, this last week has been also been a week of birthdays so the usual busy-ness was increased with the added job of birthday baking. I must say its a fun job for me, choosing which cakes and treats to make, baking and decorating and of course enjoying the finished product. I was pleased though when my son, who turned 7 requested Rocky Road as his treat to take to school to share with his class. What a quick and easy thing to make and guaranteed yumminess. Everyone has their personal favourites when it comes to the ingredients in rocky road. Apart from the obvious chocolate and marshmallow the list of ingredients that can be added is endless. Nuts, coconut, biscuit bits, sweets, dried fruit.. my boys though first made rocky road with one of my close friends mother and they have never wanted to eat it any other way since. 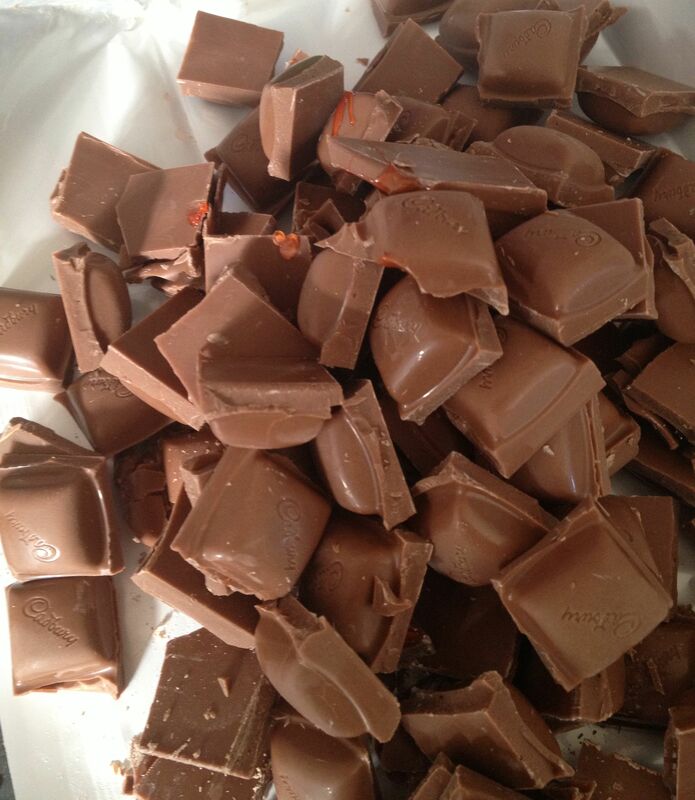 Melt the chocolate and the butter together in a bowl over a saucepan of simmering water. Stir occasionaly and remove from the heat once both the butter and chocolate has melted. Continue to stir until a smooth glossy texture and then leave to cool. 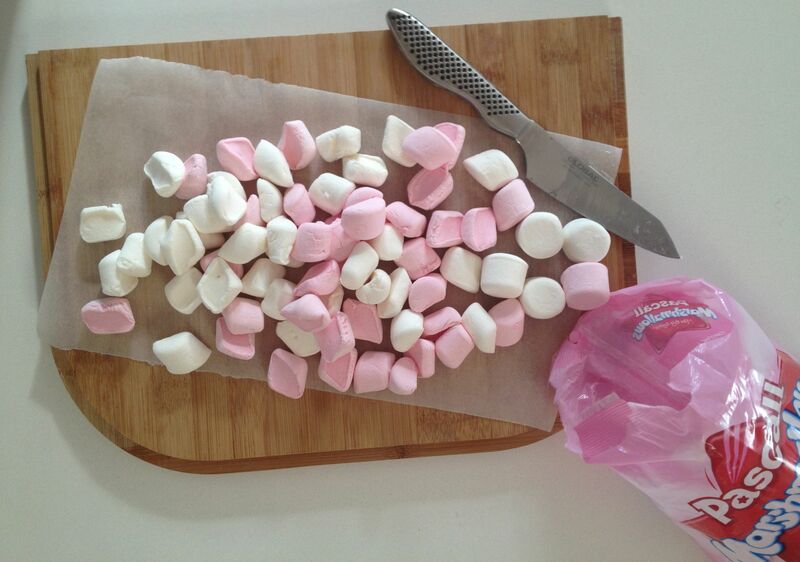 As the chocolate mixture is cooling, chop the marshmallows in half and break the turkish delight into squares. Once the melted chocolate has cooled, add the turkish delight and the marshmallows. If the chocolate is too warm these added ingredients will begin to melt, which won’t look as pretty so make sure your chocolate is not too hot. Stir to combine well and pour mixture into the prepared tin. 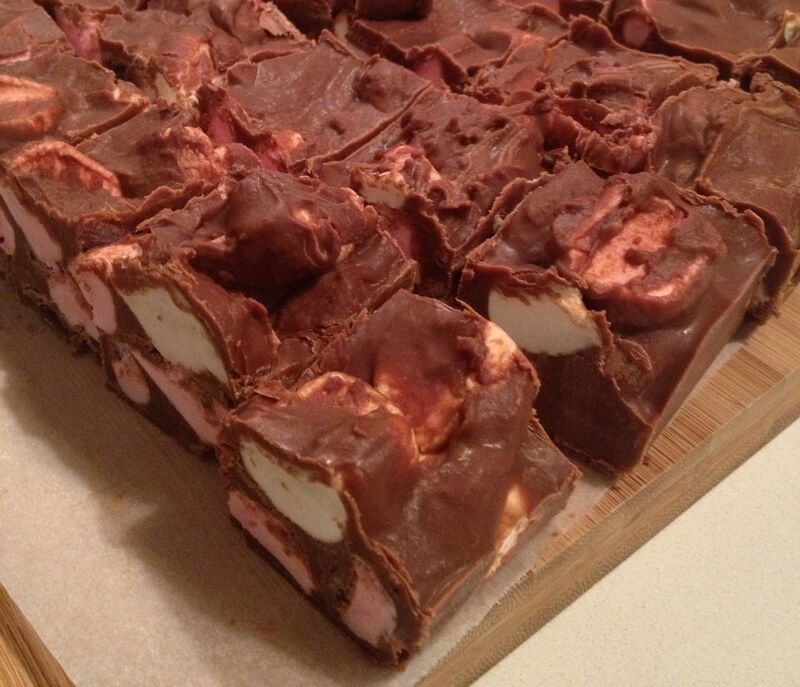 Once set, remove the rocky road from the tin and slice into squares. *Please excuse my extra rushed pics this post! Oh the summer fair! I’m sad to not be baking this year for the stall. This will be a good one to make though, very easy and if you cut the squares small you’ll get lots! Rocky road rules! I can eat it til I feel like I’m going to EXPLODE. This looks lovely. I froze some of this lot and have been nibbling away at it! Good to have on standby but bad as I eat way too much of it.